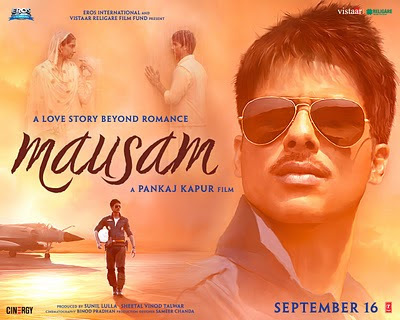 Mausam did not fare well at the BO, but I really liked the music of this film. Directed by one of the finest talents of our country, Pankaj Kapur Uncle made his debut as the director of this film. Many believe that a films music is one of the key elements that can help making it a hit. Mausam is right there. The music of the film is composed by Pritam & The lyrics are written by Irshad Kamil. For many, The JWM combo is a winner. The album opens with a heart warming, sweet acoustic guitar tune. Rabba is a delight for every die-hard romantic. Shahid Mallya is a singer to watch out for. His voice suits Shahid kapoor's lovesick expressions. The song is dreamy and takes you on a dream world ride. There is a reprise version sung by Rahat fateh Ali khan which is equally good. But personally, I like Shahid Mallya's version. Next up is my favorite track. Why? Because it makes me get up & DANCE! Sajh dajh ke is definitely the Shaadi wala gaana of this season. Women singing the sangeet verse begin the song & then, Enter Mika. He has sung the song with so much of energy. The lyrics are cute & adds to the whole "wedding wala gaana" feel. One can also hear Pankaj Kapur Uncle say "Saat samundar jaake usne itna hi jaana". You would definitely want to add this song to your Ipod & listen to it on Full On blasting volume! The album also has two remixes of Sajh dajh ke - One is the Desi mix & The other is the Club tiger style mix. They surely sound good, But you can give it a skip as the original is 10x times better. The next song in the album is a favorite with everyone. Ik tu hi is class apart. You don't get to hear such stuff nowadays. Glad to hear Hans raj Hans after a loooong time. Yes, Multiple oooo's because i don't remember when was the last time i heard this fantastic singer. Can only remember "dil tote tote"! Anyways, Hans raj Hans has done a brilliant job and so have the chorus singers. They compliment the music perfectly and it makes the song sound very rich. Ustad Sultan Khan (Yes, He sang the raga for my all time favorite song Aao milo chale from Jwm) opens the song. The lyrics of this song are all about love,despair & separation. It will definitely make you shed a tear or two (It gave me goosebumps the 1st time i heard it). The song has two more versions in the album. The reprise version is sung by Shahid Mallya, Who adds his own charm to the song, Making it sound very different. One can feel the sense of sadness & loss. Another version is by the Popular Wadali Brothers. They take the song to a totally different level. All three versions have something unique about it. This song is one haunting affair! Next on the list is Poore se zara sa kam hain. Sung by Ustad Rashid Khan (Yeah, He made us cry with Aaoge jab tum in JWM), The lyrics of the song are beautiful. Simply loved the composition, Specially the flute part. Karsan Das Sagathia's Aag lage us aag ko makes me think about Navratri. 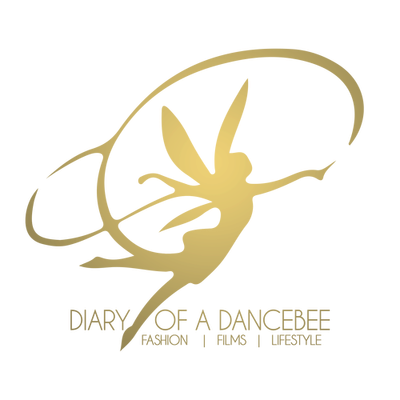 But no, Its not a dance number. This song will remind you of a popular gujrati number, But the thumping dhol beats add a lot of drama to this song. I loved the beginning & end of this song, specially the "Rang rasiya mere" part. Its a situational song. The promo (which had parts of this song) gave me goosebumps, Specially looking at Harry aka Shahid without a Hand (Which i strongly think is paralysed). Next up is another fav, Mallo Malli is the only club number in this album (And probably the only song where we get to see Shahid doing some Locking,Popping & Hip hop). There are two versions, One by Tochi Raina & The other by Lehmber hussainpuri (My fav). Its not the typical club song we get to hear nowadays, The song has a very lovey-dovey feel to it. The lyrics stand out, Simply love the paragraph "Do lafzon mein mera zamana kyon dekh simat ta yun". Hard kaur's backing vocals are damn good & different from her other numbers. Interestingly. Hussainpuri's version is much stronger than Raina's, As the formers voice adds some extra punch to the song. Trust me, Not a single day in my life nowadays goes without listening to Mallo Malli. Just makes me do a Moonwalk *dance* You might end up liking both the versions of this song. In all, The Mausam album is a must buy. Each song is different from the other! While teens will love Rabba,Sajh dajh ke and Mallo Malli, Their parents would love listening to Poore se zara kam, Ik tu hi... Or maybe vice versa? Pritam surely shines, His compositions are perfect in today's times where some songs just dont make any sense. Each song evokes emotions. Irshad Kamil's lyrics are beautiful. A good break from the Hinglish songs we listen to nowadays. His lyrics make you feel calm, It sounds pure. There is something for everyone in this album.